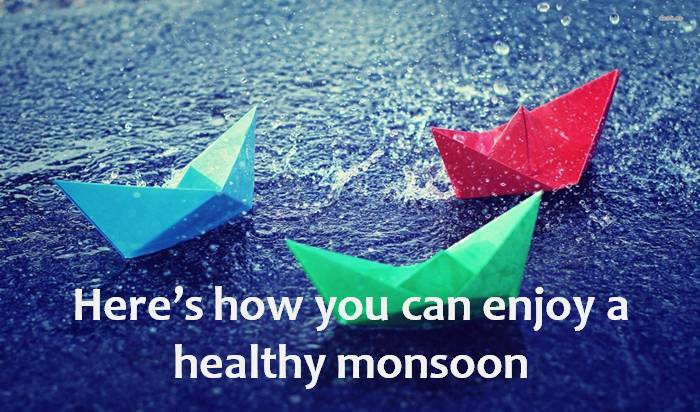 Monsoon is here and if you feel unwell don’t self-medicate; instead visit a doctor and seek early medical care. The rainy season makes us susceptible to many diseases, mainly water-borne and food-borne infections. Children and the elderly, and particularly, those with low immunity are the most vulnerable. Diarrhea: Contamination of food or water causes maximum diarrheal diseases. It is also called food poisoning. Diarrheal diseases are self-limited and need supportive treatment in the form of replacement of water and electrolytes orally. In severe cases, temporary hospitalization, intravenous fluids, and antibiotics may be required. Typhoid: It is highly communicable disease, which is mostly spread via contaminated food and water. Patient should be isolated from other members as this disease spreads. They should also consume maximum fluids to prevent dehydration. Getting vaccinated could prove to be of great help. Common cold, cough, & viral fever: Common cold occurs due to viruses that thrive in humid conditions. Prolonged exposure to humid air from air-conditioners also increases your chances of catching a cold. Viral fever spreads from one person to another through the air. These infections require symptomatic treatment with paracetamol and anti-histamines. Gastroenteritis: It is caused due to the infection of our intestine by water-borne bacteria and viruses. In most cases, this is a mild and self-limiting illness, but at times can become life threatening. Do not delay in seeking medical advice. Chikungunya, Malaria, & Dengue: These pose major health threats. Both diseases have similar symptoms, though hemorrhagic manifestations are rare in Chikungunya. Dengue may result in low platelet count. Severe cases need immediate hospitalization and aggressive treatment. There is no preventive drug or vaccine currently available for these ailments.